Lotus Flower Tea is a herbal tea taken by the local Chinese all the time. 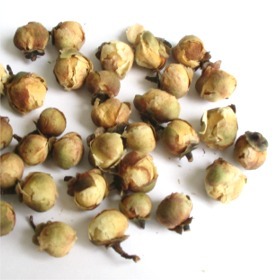 This Lotus Flower Tea helps to strengthen joints and relieve rheumatism related discomfort. Also it enhances resistance to colds. This tea is very famous amoung lady tea drinkers to promotes skin beauty as well. These were out of stock when I ordered them! :( but Im sure they are excellent! Had a very delicate and mild taste. Not very memorable in my opinion. Needed to be brewed a bit longer than most foral teas. I tried mashing up the flowers to see if it would bring out more flavour, that was a big mistake and made the concoction very bitter. Not bad. There wasnt much of a flavor to it or aroma.